At WrestlingMart, we are always ready and available to talk with you on any questions you might have. Seriously, ask us anything. We are also happy to take orders over the phone, and help you with any issues, concerns or problems you run into. We love hearing from our customers no matter what you have to talk about – even if you just want to say hi, give us feedback, or tell us a funny story. 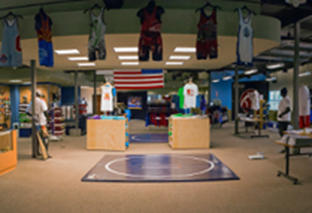 We’d like to solve any issues to help you get geared up so you can get out and dominate on the mat. We will be closed on: Thanksgiving, Christmas Eve, Christmas Day, New Year's Day, Easter & 12 PM on the 4th of July.